Hendrick Motorsports announced Thursday morning that this will be Jeff Gordon‘s final season competing for a NASCAR Sprint Cup Series championship. The four-time champion announced the news to his No. 24 team Thursday, saying he hesitated using the word “retirement” as he enters his 23rd and final full-time season. Gordon, 43, signed a lifetime contract in 1999 with team owner Rick Hendrick, who first brought him into stock-car racing’s big leagues at the end of the 1992 season. He scored four victories in last season’s resurgent campaign, bringing his career victory total to 92, third-most on NASCAR’s all-time list. The rest of his stellar portfolio — including three Daytona 500 wins and a record five Brickyard 400 victories — boasts all the credentials for automatic first-ballot induction into the NASCAR Hall of Fame. Gordon had joked ahead of the 2014 season that he would retire on the spot if he were to claim his fifth title, but his rejuvenating run deep into the Chase for the NASCAR Sprint Cup playoffs seemed to quell any retirement buzz. On Thursday, Gordon said that while his driving days may be coming to a close, he’ll continue to stay active in the sport. 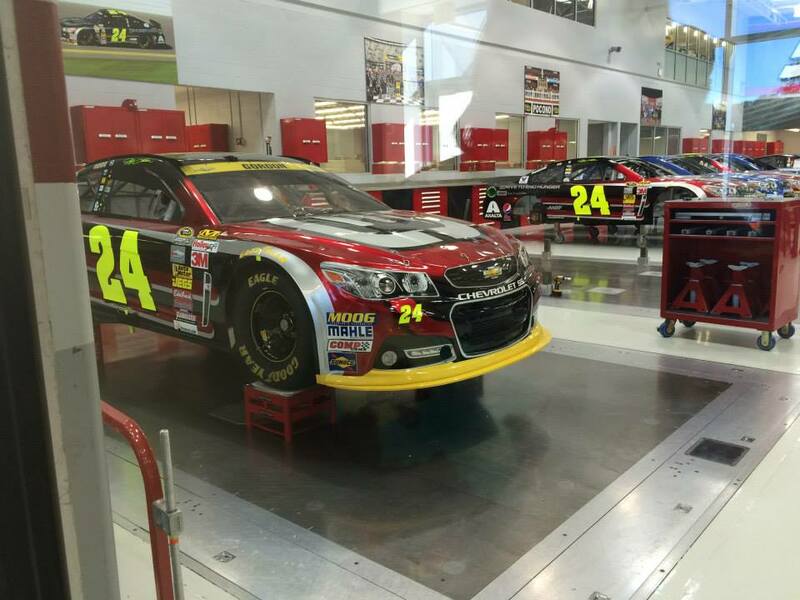 “I don’t foresee a day when I’ll ever step away from racing,” said Gordon, who is a part-owner of Hendrick’s No. 48 team driven by teammate Jimmie Johnson. “I’m a fan of all forms of motor sports, but particularly NASCAR. We have a tremendous product, and I’m passionate about the business and its future success. As an equity owner in Hendrick Motorsports, I’m a partner with Rick (Hendrick) and will remain heavily involved with the company for many years to come. Gordon first caught Hendrick’s eye in what is now the NASCAR XFINITY Series in March 1992 at Atlanta Motor Speedway, with the veteran team owner marveling about the young driver’s car control, even as he seemed on the brink of losing control. Eight months later, Gordon made his debut for Hendrick at the same Georgia track in what signaled a passing of the torch in the NASCAR driver ranks. King Richard Petty said farewell in his final NASCAR start, and Gordon — who cut his teeth through the sprint-car circuit — said hello to the world of stock-car racing, paving the way for what became a dynasty for the rest of the decade. Crazy! Time seems to fly by. Being 3rd all-time in wins, though, I think Gordon makes a serious case for racings Mount Rushmore. It’s crazy to think that Richard Petty had over 100 more wins them him! Exactly! Then again we have to stop and think “The King” ran in a whole different era of racing. I do agree though about racings Mount Rushmore! Love em or hate em you cannot deny the guy was good!